It might just be me, but I rarely say no to saving a few dollars, especially if it involves having a clean house! Believe it or not, sometimes even the toughest stains don’t require a name-brand cleaner. Save yourself some money (and time!) 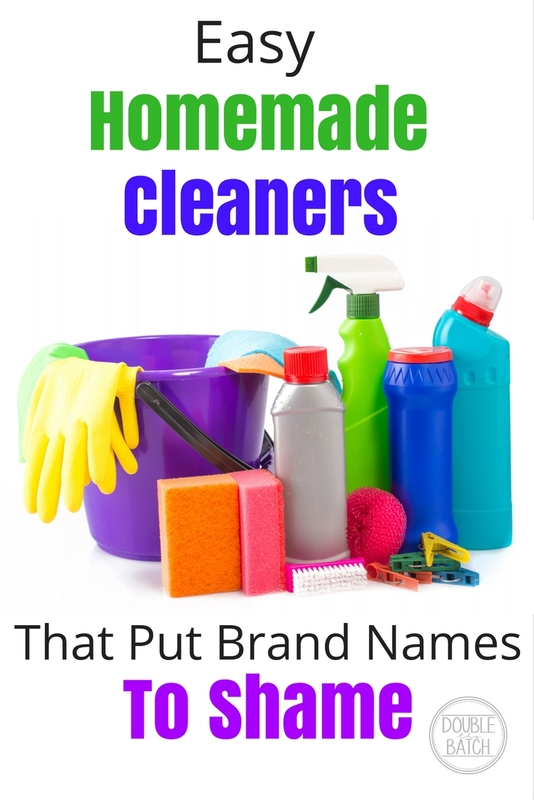 with these simple, homemade cleaners. When that bright red shirt mysteriously ends up in the whites, this solution is a lifesaver. Mix one part ammonia, one part Dawn Dishsoap, and 2 parts water and soak any stained (yes, even dyed) clothes in it for 5-30 minutes at a time as needed. It removes the stain—without bleaching any other color/print. I’ve used this on ruined “pink” shirts that have been through the dryer and are days old. It’s a cleaning miracle. 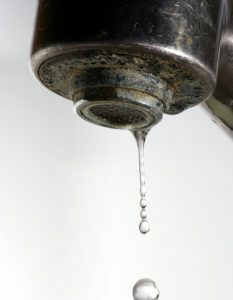 Fill a spray bottle with two parts white vinegar (at least 5% acidity) and one part dish soap for an fail-proof solution to those hard water spots on your faucets. It’s especially great for hard-to-scrub places like showerheads, or stubborn mildew in bathroom tile and moulding. Really tough spots may need a little soaking, but you won’t be disappointed! I hate spending money on Swiffer wipes (what makes them so pricey, anyway?) and off-brands just don’t seem to do the trick. Turns out using a terry cloth rag works just as well, and hydrogen peroxide is a GREAT floor cleaner. 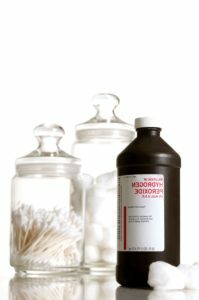 Mix about 2 tablespoons of hydrogen peroxide in a 28oz spray bottle of warm water, and spray the floor as you go. For mopping, the equates to about 1 cup of hydrogen peroxide to a gallon of water. Add a few drops of lemon or lavender essential oil for a great scent! While not technically homemade—unless you have a garden—there’s a good chance you have one in your fridge, and they’re still cheaper than those amazing magic erasers. 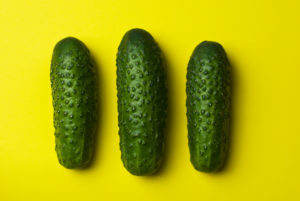 Yes, you can clean with cucumbers. An unpeeled cucumber does wonders at getting crayon off walls, tarnish off of stainless steel, and grime out of the bathtub. A slice will also polish up your faucet (or dress shoes!) and stop your bathroom mirror from fogging up. Who knew? 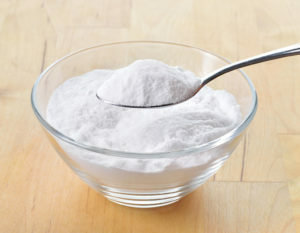 Everyone knows that baking soda is great for cleaning, but did you know that it’s even strong enough to use as grout cleaner, or to scrub long-burnt pots and pans? Simply make a frosting-like paste with a little dish soap, spread on the area to be cleaned, scrub, and rinse off. It can even be used for polishing dinnerware or stainless steel. For super tough spots, let the paste sit for 30 minutes or more and splash on a little vinegar before rinsing. By keeping some of these basic household items on hand, you can significantly cut down on your arsenal of store-bought cleaners. In my experience, they work at least as well as pricier name-brands and save trips to the store! That’s almost second-best to hiring a maid.